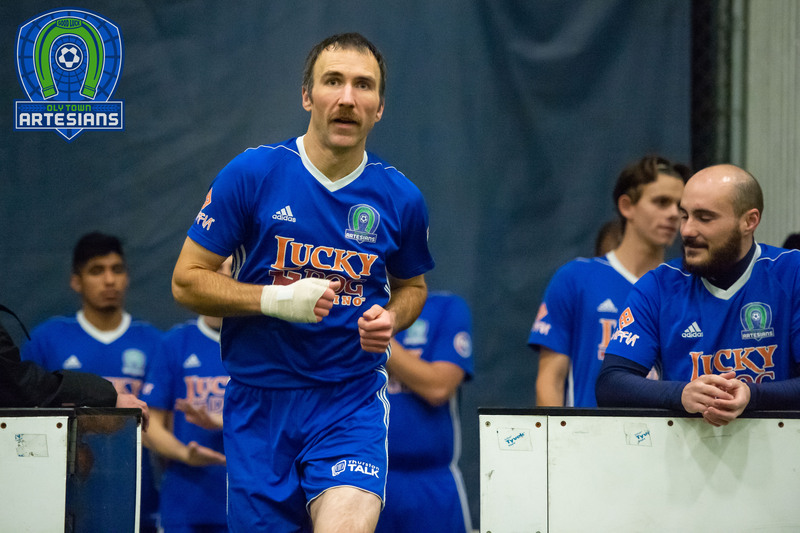 TACOMA, Wash. – Former Oly Town Artesians skipper and current Tacoma goalkeeper Nate Salveson led Tacoma Narrows FC to just the second shutout in Western Indoor Soccer League history, an 8-0 win at the Tacoma Soccer Center. 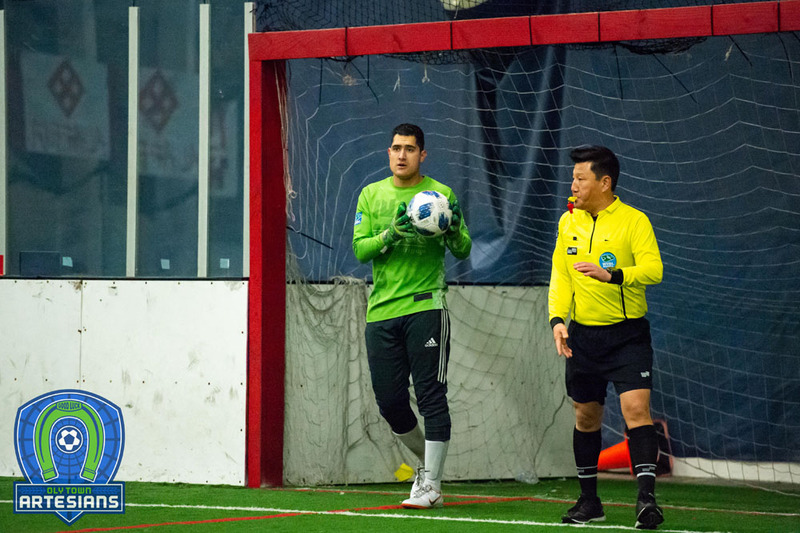 It is the first clean sheet since Aaron Anderson and the Tacoma Stars knocked off the Wenatchee Fire 5-0 on January 24th, 2015. JC Henson opened the scoring for Narrows with 4:32 left in the first quarter, his first of two goals on the evening. Brent Ricigliano added two goals in the second half and Henson and Salveson each added an assist in the win. 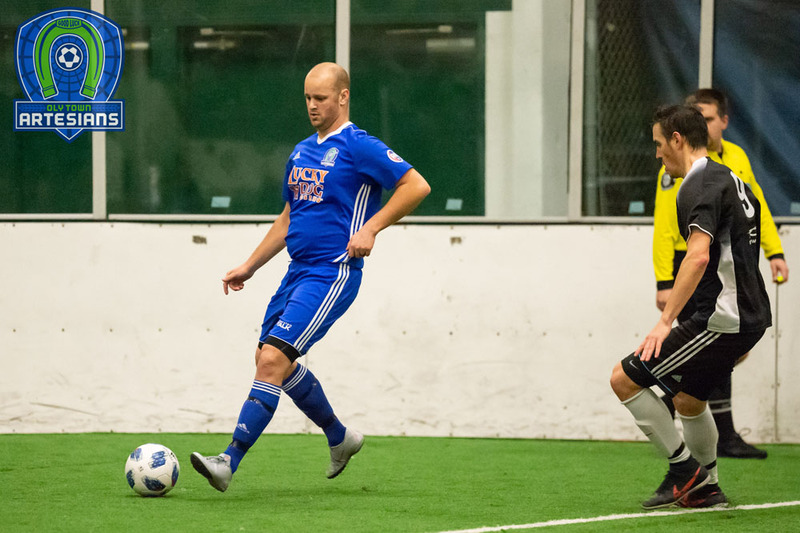 Former Artesian Matt Stalnik scored once and registered in an assist in his first game against his former team. 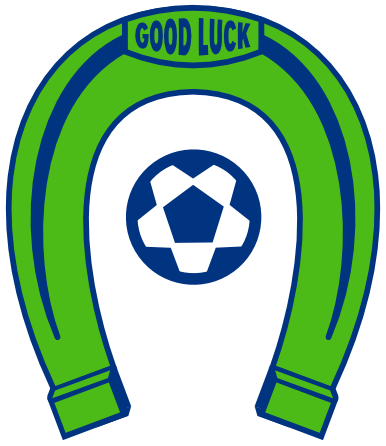 The loss dropped the Artesians to 0-7-1 this season and they have been eliminated from playoff contention despite losses by Oly-Pen and Snohomish. Tacoma Narrows (3-5-0, nine points) jumped up to third place with the win. Oly Town will look to regroup with two home games to close out their 2018-2019 campaign, beginning with 2000s Night and Wembley Soccer Shop Youth Night next Saturday. Tickets for kids in youth uniform are just $2 and there will be a halftime contest and prizes all night long, courtesy of Wembley Soccer Shop. First kick at The Pavilion at The Evergreen State College is set for 6:30.